New with box and papers. Blue Seal Chronograph Limited Edition to 999 pieces, 18K rose gold case, 41mm, date, auto, blue dial is etched with images of seals. 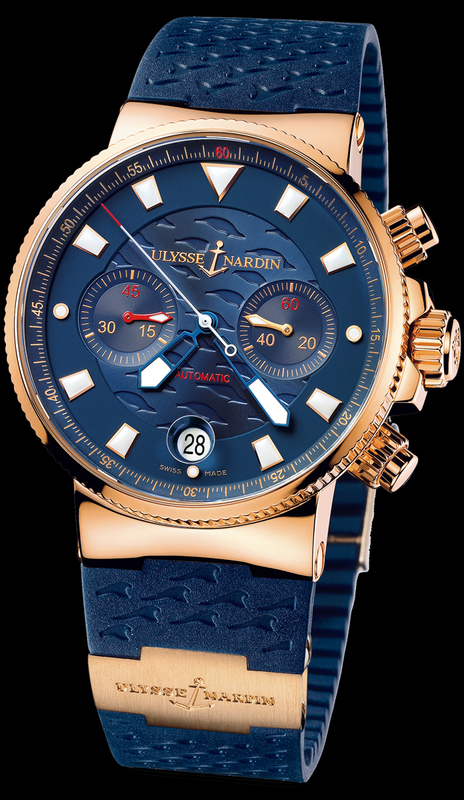 The 22K rose gold rotor is engraved with the Ulysse Nardin name and anchor logo and is visible through exhibition case glass back. It is available on a matching blue rubber strap, with a rose gold folding buckle. Retail $29,800 dlrs.